Can you believe we are already in the middle of November? I’m so grateful that we finally have a crisp in the air in Dallas. And since Thanksgiving is just around the corner, I thought I would highlight some quality books for children about the holiday and its history. I think we tend to gloss over the harrowing hardships the Pilgrims endured for the protection of the little ones. But, at an appropriate age, it’s good and necessary for children to hear stories of overcoming hardship and courage. Often it is a testament to God’s faithfulness, as was the case with the first Thanksgiving. Many of these below are chapter books that are perfect for elementary aged children, but I included a few picture books as well for the younger ones. For example, Cranberry Thanksgiving is a sweet book for all ages and The Thanksgiving Story is illustrated beautifully. 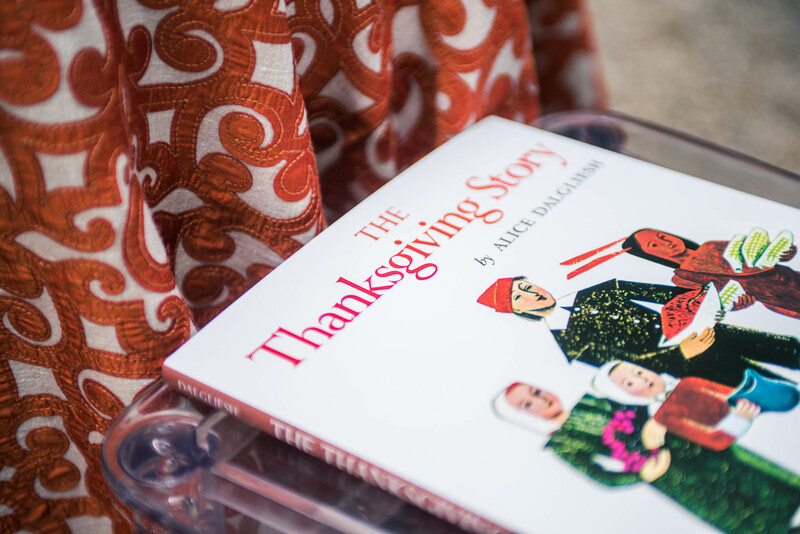 A few of these Thanksgiving books would make a thoughtful gift for the family hosting Thanksgiving (if they have children, of course!). Note: some of these classic books will use the term “Indian” and might need to have a little accompanying parental commentary.